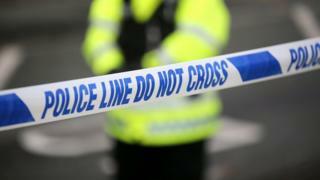 A man in his 80s has died after he was struck by a car in Londonderry. The pedestrian was hit on Crescent Link at around 20:00 GMT on Thursday. He was taken to hospital but died a short time later. Crescent Link was closed after the incident but has since reopened. PSNI Insp Louise Cummings said a silver Citroen car was involved in the collision the driver was spoken to at the scene. She appealed for any witnesses or anyone who may have dashcam footage from the scene to contact police.